Well, you may not have seen one of these before! 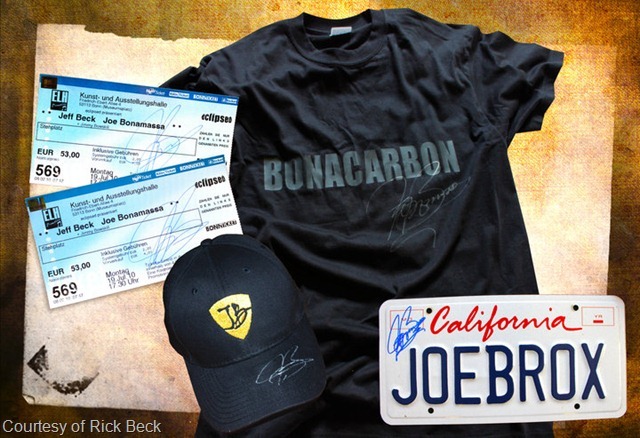 The above picture comes from Rick Beck, who is a Bonaholic and Street Team member. 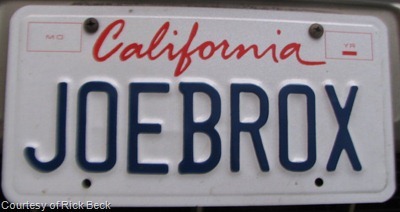 Rick customized his California license to plate to read “JOEBROX”. Does anyone else have a custom license plate? If so, we would like to see it! If not, why not get creative and get one! It’s a great way of spreading the word about Joe and will definitely get others attention. It’s a definite eye-grabber, that’s for sure. Rick also saw Joe in Bonn opening for Jeff Beck recently and he got the license plate autographed. What a great piece of memorabilia!